1. Submit Regular Meter Readings? You can submit your businesses meter readings using your 'My Account', by phone or by email. If you need extra support do not hesitate to give us a call on; 0161 762 7744. Once you have switched to Crown Gas & Power and your site is live; you will need to get in touch with us so you can provide us with an opening meter reading. This ensures that you are billed accurately from the start. 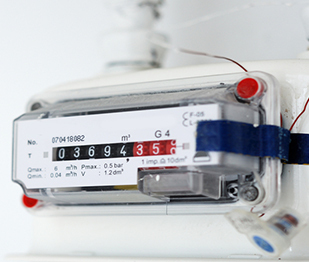 Furthermore, take a few minutes towards the end of each month to submit your meter reading, this can be done online above, or by telephone 0161 762 7744, or email hello@crowngas.co.uk. If you are unsure about submitting your monthly reading. In order to ensure you are billed accurately each month, take a photograph of your meter then email it to hello@crowngas.co.uk. If it’s inconvenient to send regular meter readings or if you operate on multiple sites; arrange for an AMR installation, to further improve accuracy. Once a site becomes live under our supply, we can begin to arrange the works, to find out how you can get an AMR installed here. Don't forget to submit your monthly meter reading!